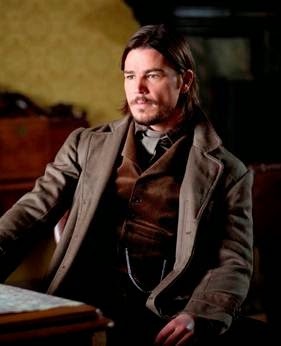 LOS ANGELES, CA – July 16, 2014 – As PENNY DREADFUL makes its San Diego Comic-Con debut, SHOWTIME will host autograph signings featuring cast members Josh Hartnett, Reeve Carney, Harry Treadaway, and creator and executive producer John Logan on Thursday, July 24th and Friday, July 25th. This marks the series’ first trip to the world-famous gathering in San Diego. Headlining the opening night of Comic-Con, PENNY DREADFUL’s panel session, moderated by Emmy® Award-nominated actress and host Aisha Tyler (The Talk, Archer), will be presented on Thursday, July 24th from 6:00-7:00 pm in Ballroom 20. A special package of PENNY DREADFUL-inspired tarot cards will be given to all fans who attend the panel session. Additionally, four lucky members of the panel audience will have the opportunity to win tickets to an exclusive PENNY DREADFUL party that evening. In partnership with Entertainment Earth, Titan Books and Bif Bang Pow!, SHOWTIME will give fans access to special edition books, tarot cards and character figurines inspired by the series. Fans can visit the Entertainment Earth Booth (#2343) to purchase a deluxe deck of tarot cards inspired by the ones used throughout the series, along with character action figures, including Ethan Chandler (Josh Hartnett) and Vanessa Ives (Eva Green). Titan Books has published special editions of the classic novels that inspired the series. For the exclusive Penny Dreadful Collection of classic horror novels including deluxe hardcover editions of Mary Shelley’s Frankenstein, Bram Stoker’s Dracula and Oscar Wilde’s A Picture of Dorian Gray, which each contain original black and white illustrations by Martin Stiff, Louie de Martinis and Ian Bass, visit Titan's booth #5537. In addition, the over 150,000 lanyards worn by all Comic-Con attendees will be branded by SHOWTIME and PENNY DREADFUL. 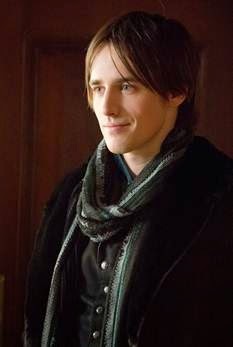 In PENNY DREADFUL, some of literature’s most famous characters – including Dr. Frankenstein, Dorian Gray and iconic figures from the novel Dracula, all brilliantly reimagined in a whole new light – have become embroiled in Victorian London. The series stars Josh Hartnett (Black Hawk Down), Eva Green (Casino Royale), Timothy Dalton (The Living Daylights, License to Kill), Reeve Carney (Spider-Man: Turn Off the Dark), Rory Kinnear (Skyfall), Harry Treadaway (The Lone Ranger), Billie Piper (Doctor Who, Secret Diary of a Call Girl) and Danny Sapani (The Bill). PENNY DREADFUL is a drama series created, written and executive produced by three-time Oscar® nominee John Logan (Hugo, The Aviator, Gladiator) and executive produced by Logan's Desert Wolf Productions, along with Oscar winner Sam Mendes (American Beauty, Skyfall) and Pippa Harris (Revolutionary Road, Call The Midwife), both of Neal Street. The series, a co-production of Sky Atlantic, has been picked up for a second season, which will shoot in Dublin, Ireland for a 2015 premiere on the network. 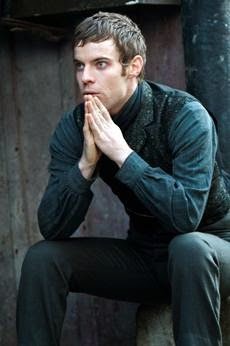 For more information, please visit www.penny-dreadful.com.